I think you'd find that in Australia those "charging stations" are called "petrol stations" and you'd need to find one every 600 Km. The added advantage of using a Smart car is you can use the car itself as a stabilisation block for anything bigger than a sedan! No no, we have to continue our moves to become an environmentally conscious emergency service. 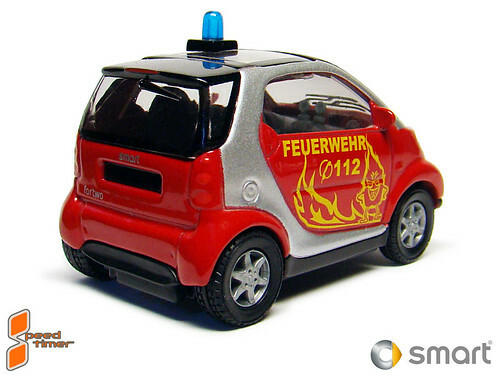 Surely the Smart ED is the Rescue Vehicle of choice? A staggering range of 135km on a single charge should be perfect to get you to the incident and back! Just in time to plug her into the chargers back at station. Although we may have to replace the Combi Tool with some Tinsnips and a claw hammer. am I the only one that has an urge to grab those little cars, pull them backwards and let them go and then watch them race away? Don't tell Arthur, he might need to go to Germany to investigate how to strip an already pathetic RCR kit, and install it into a Smart Car. God, I hope they make a little siren noise too! I think Arthur has been watching far too much MacGyver and trying to apply those principles to our Rescue stowage. All you need on a Rescue is a Swiss army knife, some chopsticks, a paperclip, rubberband and 3 socks. A Heavy Rescue adds but a bigger Swiss army knife, a box of matches and a break-apart-McLeod tool! I had a email from a friend in NSWFB and the VAN'S where only for light rescue in parts of NSW that also had other rescue service there like Ambo's. These vans are now being replaced with a stand along rescue truck or a pumper/tanker rescue. CFA have not and will not use a rescue van but rather use a stand alone rescue truck.